In an increasingly digital world, small businesses without an online presence are put at an extreme disadvantage when pit against industry giants. Without a website, platform and/or social media profile, a business’ ability to be found and sell its product or service is tremendously diminished, as it limits itself exclusively to physical transactions. One particular area where this is made especially apparent is in restaurant delivery, where hungry users often scramble between Seamless, Postmates, GrubHub, Delivery.com and so forth to find whether or not their local restaurant caters to online customers. Consider Domino’s footprint in the pizza category, where many non-chain pizzerias default to the classic phone and notepad system, while the pizza giant blazes ahead of the competition with innovative features like delivery tracking, ‘zero click ordering,’ various apps, SMS and Facebook messenger bot ordering, automated delivery units and so forth. When a saturated space is dominated by a few large-scale entities, small-time players find it incredibly difficult to convince customers to make the switch over to them. Having started the company back in 2010 and bootstrapping for five years out of coffee shops with a remote team of two, Sela’s foresight to develop an overarching platform for the ceaseless requests to build websites for respective pizzeria owners largely paid off in the long run. Going door to door, Sela’s focus over the course of those next five years was to build relationships with local pizzerias and expand the network of participating pizza joints; scale was of critical importance if this business was to ever gain any traction. It wasn’t until 2016 that the startup got its lucky break, when Sela reached out to the founding team at Seamless, raised a round of seed funding with the delivery platform, rebranded from ‘My Pizza’ to Slice, and on-boarded new team members to ramp up growth. “We’re now approaching our 7000th local pizza restaurant to be using our platform, and what we’re really doing is creating this incredible community of pizzeria owners creating value for the consumer” says Sela. To be clear, Slice is far more than a niche-ified version of Seamless. According to Sela, the pizza industry follows a ‘loyalty first, discovery second’ model, so if you’ve been living in a neighborhood for enough time, you likely already know what your favorite pizza spot is, and the issue then becomes one of delivery as opposed to restaurant selection. To that end, Slice empowers pizzeria owners with data to optimize sales, a digital channel with which to sell more pizza, and of course, a new customer segment altogether. “Most people think they need new customers, when first and foremost they should be rewarding those who are with them. Right now everything is so ‘legacy’—pen, pad, cash register, and that’s it—that the pizza restaurants don’t really have a way to be doing that. No one has really created the toolkit that we’re bringing forward to meet the needs of such a powerful market” says Sela. 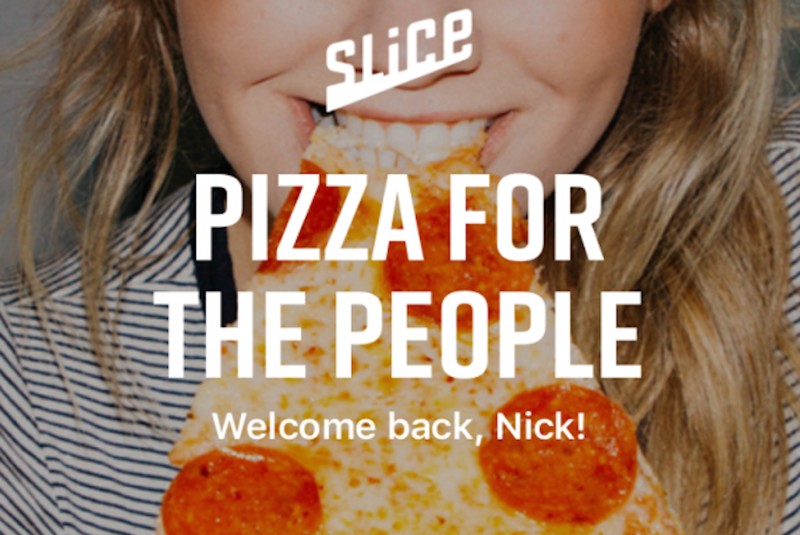 In many ways, Slice has become a central operating force for all participating pizzerias, driving engagement and organic traffic even to those who had a Seamless page prior to Slice’s emergence. The tool not only streamlines pre-existing businesses’ online sales, but educates owners as to who their best customers are, what their best-selling flavors are (and conversely what their worst performing menu items are), and so forth. 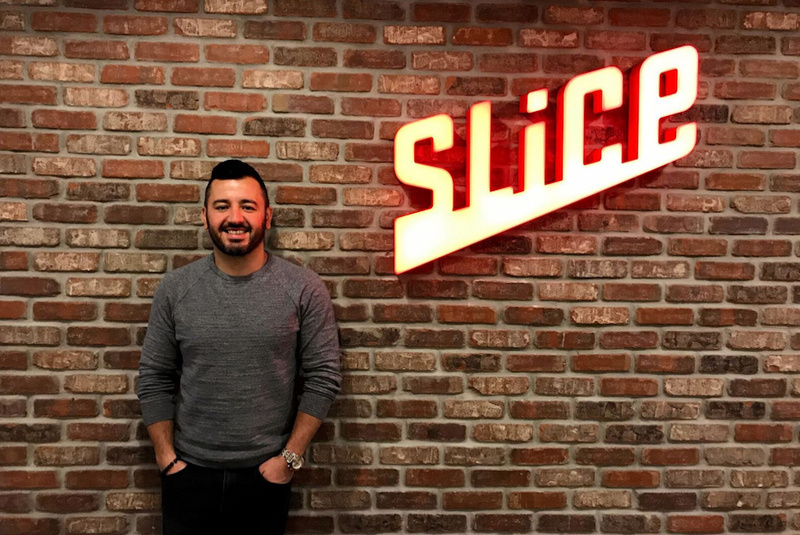 From his Albanian roots (which he says has a strong presence in the pizza business) to his earlier days building websites, Ilir Sela attributes Slice’s burgeoning success to his all-star draft post-funding. Collectively the company is building a referrals program to attract even more business to local pizzerias, while a sales team still makes sure to spread word Midwest. Slice’s expansion is rapid yet steady, with the ultimate goal of fostering a community of local pizzerias and building a network that’s bigger than the sum of its pieces.